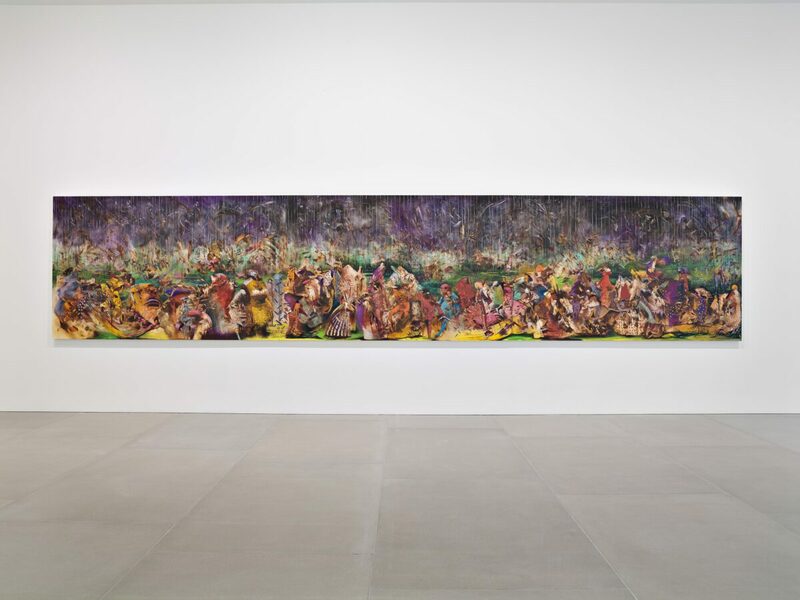 The directors of Blain|Southern are delighted to present At Once, an exhibition of oil paintings created over the last two years by the celebrated New York-based artist Ali Banisadr. 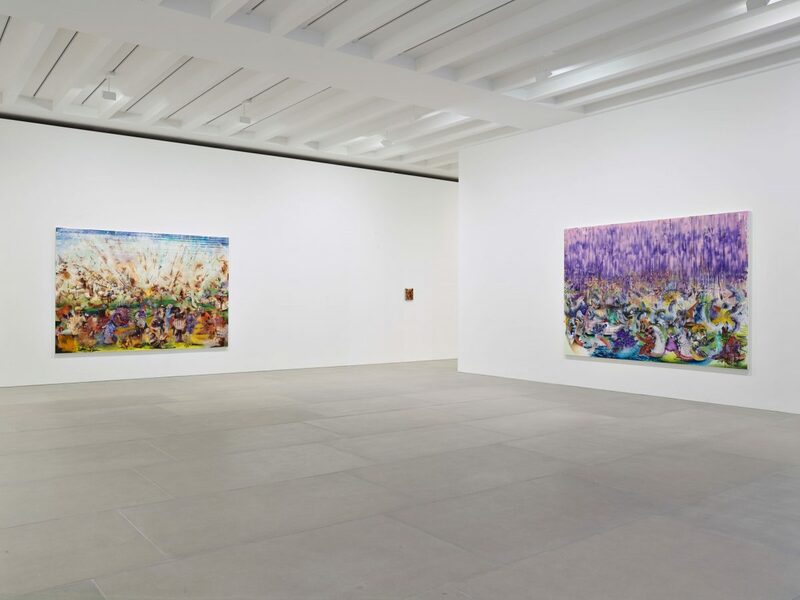 This is his first-ever solo show in the UK and includes a 7-metre long triptych, his largest work to date. 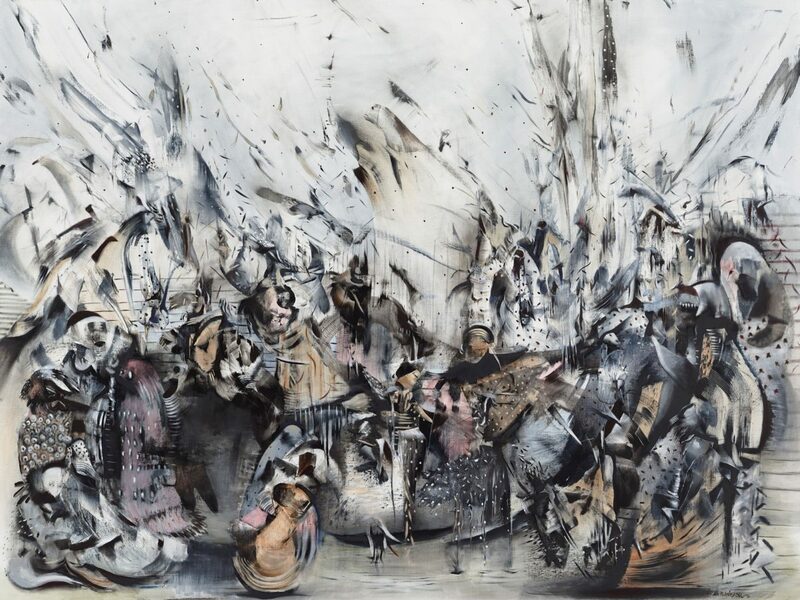 Oscillating between the abstract and the figurative, Banisadr’s paintings feature fantastical landscapes populated with grotesque hybrids in a perpetual state of frenzy. 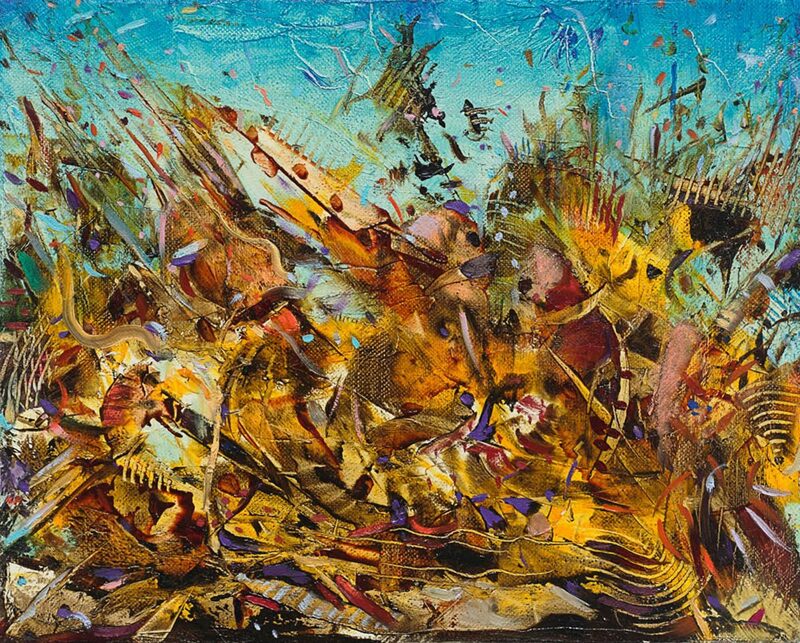 These characters – conflations of animal, god, machine and human – are deftly captured in whirling, exuberant brushstrokes. Frequently there is a sense of a heaven and earth: in the lower half, we witness temporal struggles, physical conflict and angst, while above the characters seem more at peace; as if they have surrendered themselves to the ether. 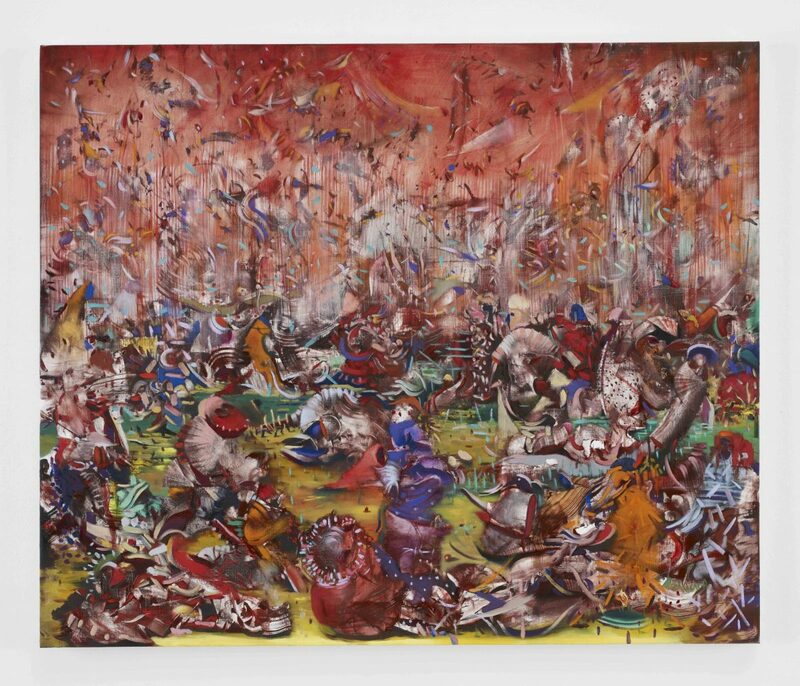 Take The Lesser Lights, 2014, in which Banisadr’s hybrids are engaged in some chaotic communion. What is actually taking place is ambivalent – it could be a battle, or a place of pilgrimage or simply a bacchanal – its title, an allusion drawn from the Book of Genesis and other writings, suggests the setting is hell, which is reinforced by the dripping, lilac pink sky descending on the figures. Another work, The Lower Depths, 2014, features a lake of acidic yellows, greens and blues, from which a giant animal struggles to escape. In the foreground a gaited human leg is smothered by what appears to be a prehistoric bird, while a female figure, naked from the midriff, flies above a beast’s head. 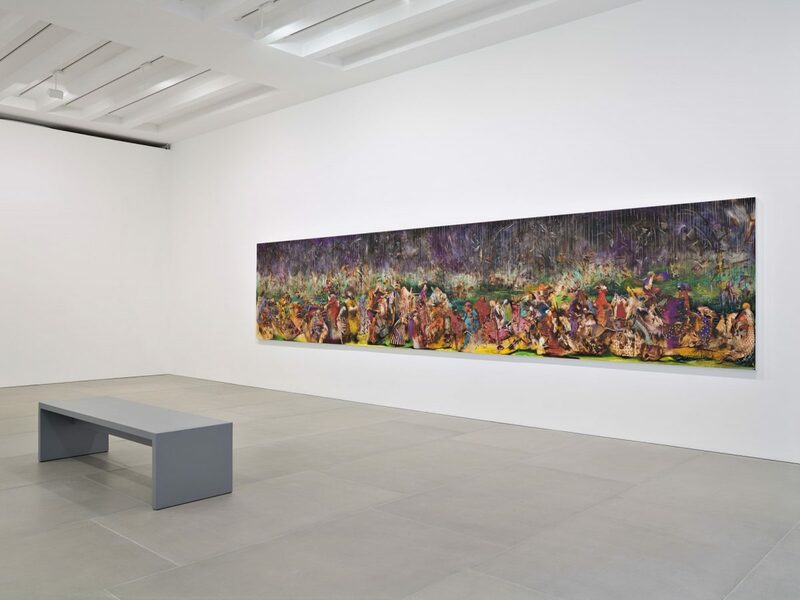 As with much of Banisadr’s work, the viewer is left feeling that the scene before them may dissolve at any point; the luscious brushstrokes and layered washes conveying a strong sense of movement and instability suggestive of a world in flux. 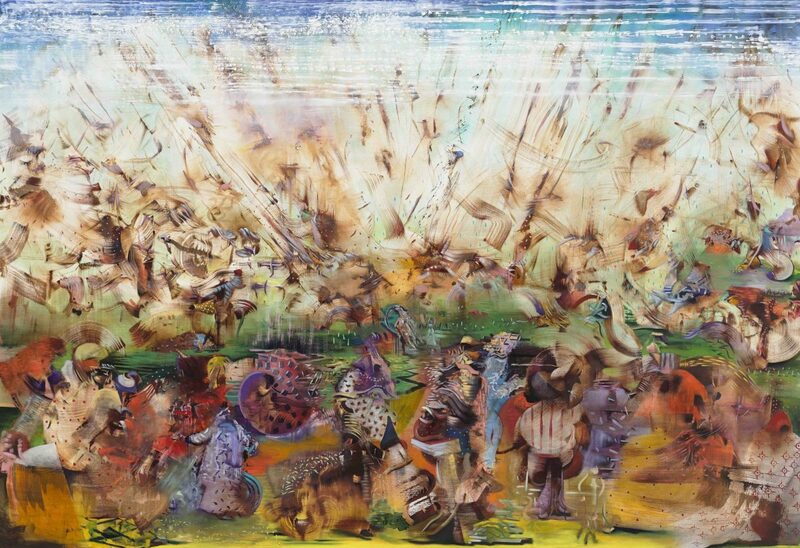 For Banisadr, painting is evidently not just painting, but a means to reflect visually on his thoughts, memories and imagination. 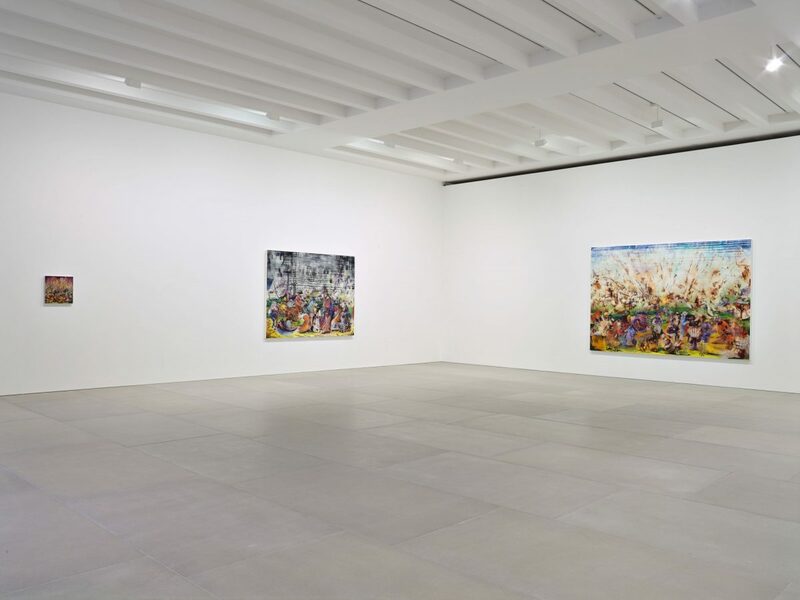 While intensely personal, it is a line of enquiry that allows him to chip away at artistic, political, cultural and religious shibboleths. 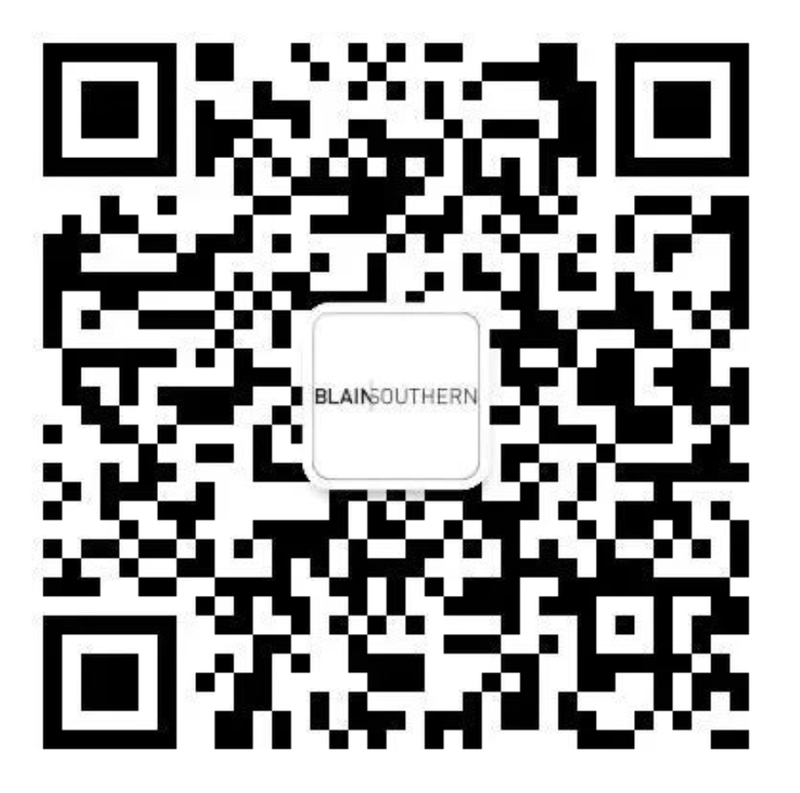 It is significant that he invariably eschews the Western tradition of including a central focal point or protagonist. 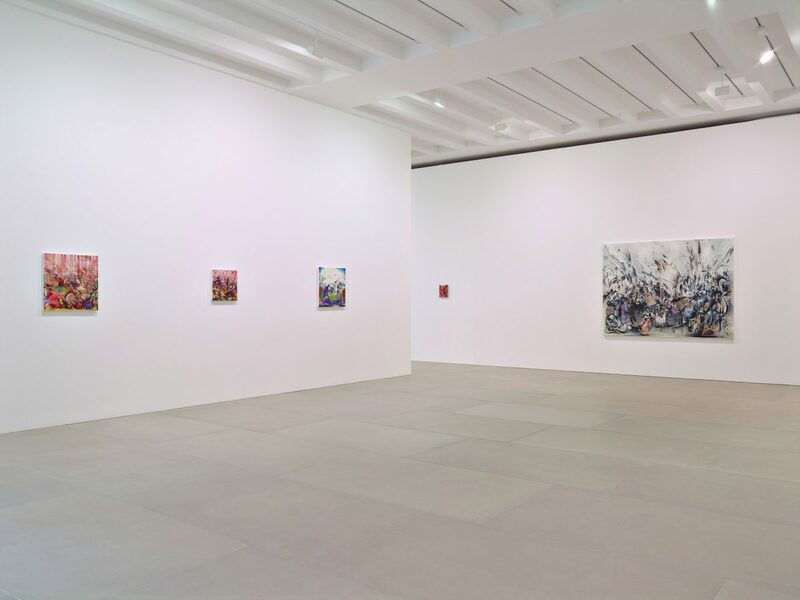 In doing so he allows the beholder to commune with a bigger idea of humanity itself and imbues his work with a universal quality, offering an invitation to the viewer to renew not just their own visual and psychological references, but also to question larger conventional orthodoxies. 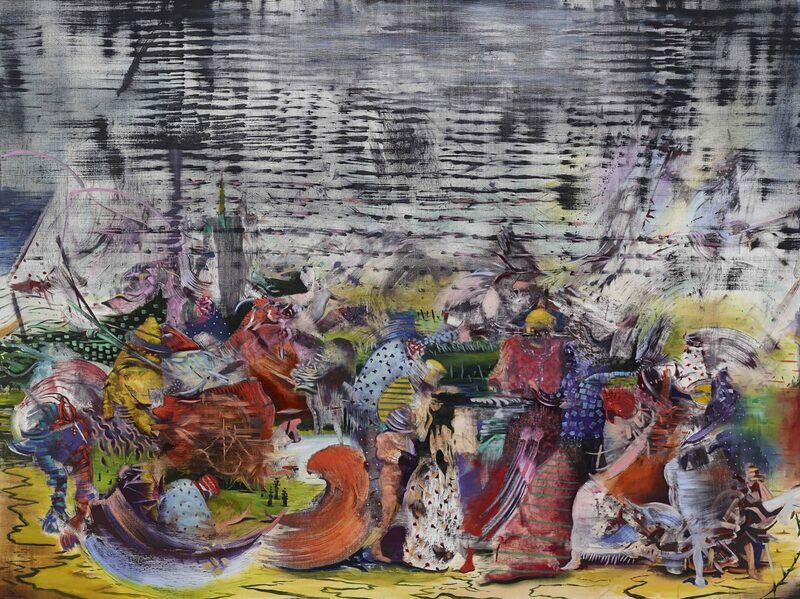 The exhibition will be accompanied by a fully-illustrated catalogue, including colour plates of more than one hundred Banisadr paintings, along with an essay by art historian and curator Dr Robert Hobbs and an interview between the artist and philosopher, critic and media theorist, Dr Boris Groys.